A juicy appetizer to serve which includes carrots, parsley and garlic. Very easy to make and is good looking to anyone who sees it! I mainly recommend it for the holidays since it goes with christmas though its your choice, either way its a great appetizer. Ingredients: 1.) Wash and dry parsley, cucumbers and carrots well. 2.) With a small knife cucumber in half length wise and the middle of the cucumber. 3.) scup out as much pulp as possible without damaging the skin. 4.) Cut the remains into small cubes. 5.) Add them into a bowl with crushed garlic. 6.) 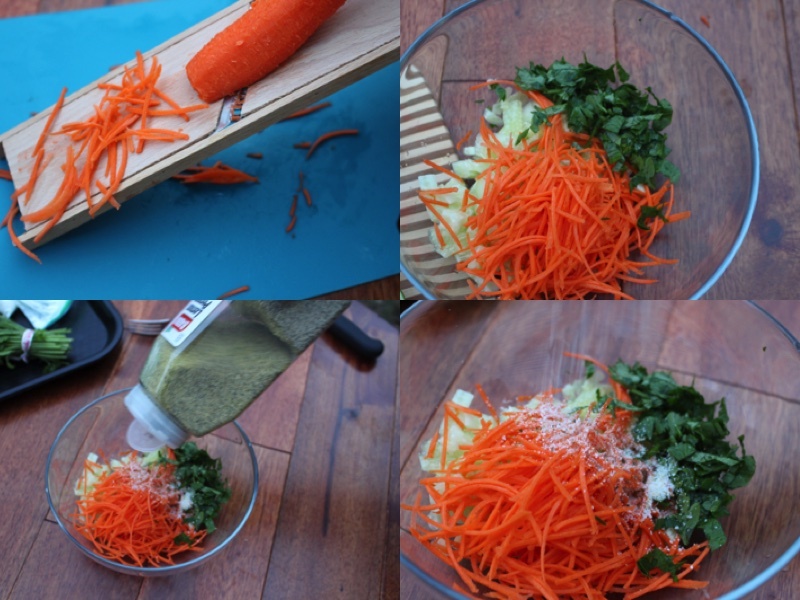 Shred carrots into small pieces, chop parsley into small long pieces. 7.) Add carrots and parsley to the bowl. Sprinkle lemon pepper and garlic salt onto the ingredients and mix together well. 8.) With a teaspoon place some of the mixture into the hole of each cucumber. 9.) 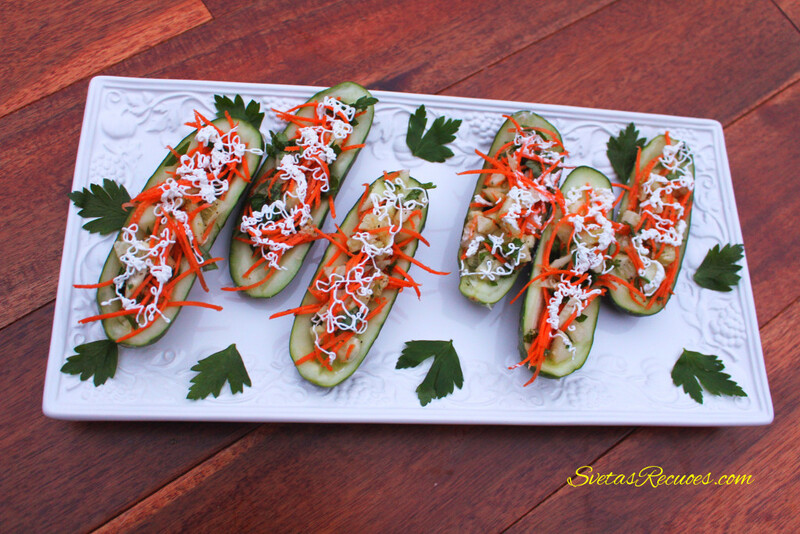 Add sour cream on top of the cucumber boat, if you want it to be fancy use a wilton decorating bag. 10.) Place on the serving dish and astonish your next guest. Wash and dry parsley, cucumbers and carrots well. 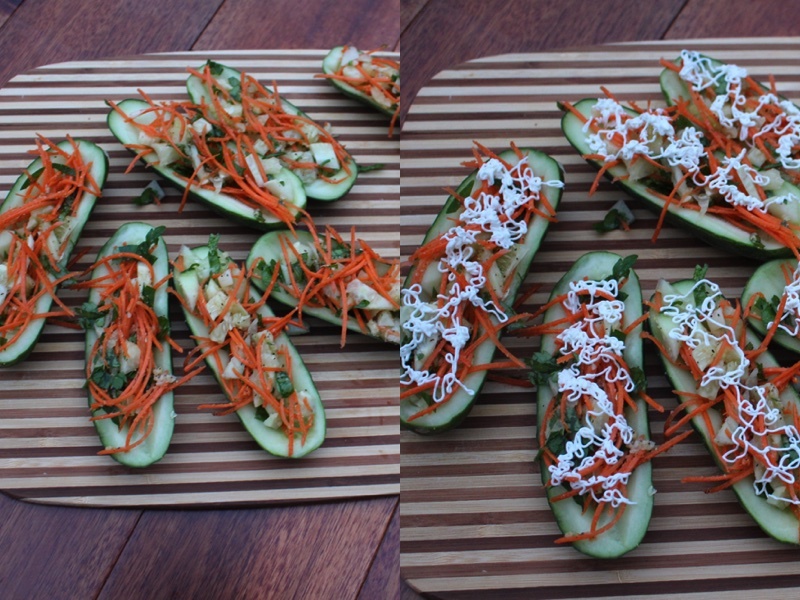 With a small knife cucumber in half length wise and the middle of the cucumber. Scup out as much pulp as possible without damaging the skin. Cut the remains into small cubes. Add them into a bowl with crushed garlic. 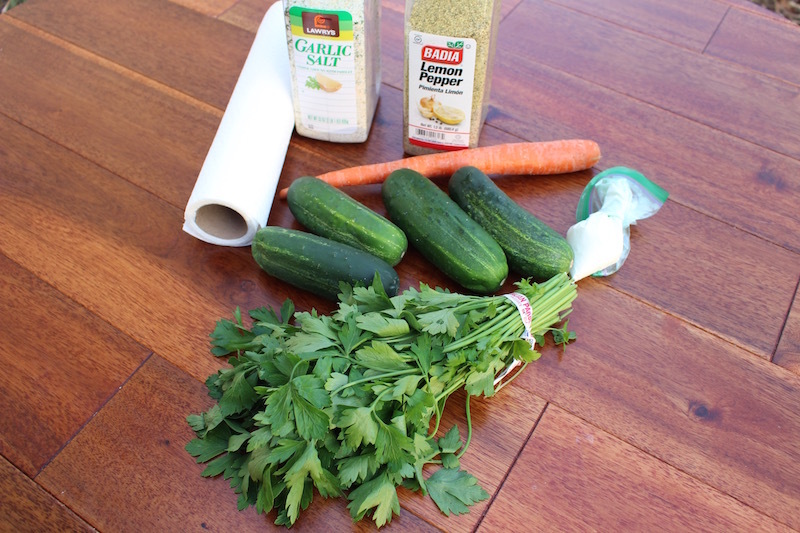 Shred carrots into small pieces, chop parsley into small long pieces. Add carrots and parsley to the bowl. Sprinkle lemon pepper and garlic salt onto the ingredients and mix together well. 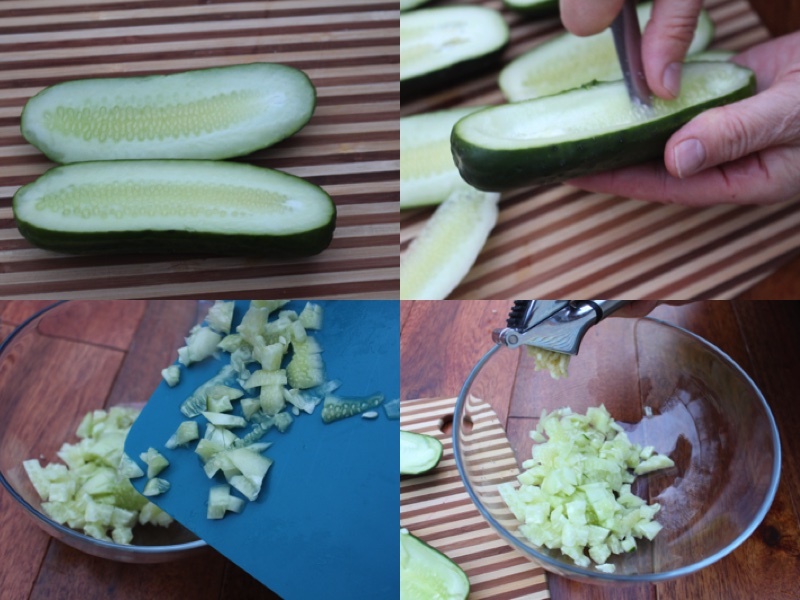 With a teaspoon place some of the mixture into the hole of each cucumber. Add sour cream on top of the cucumber boat, if you want it to be fancy use a wilton decorating bag. Place on the serving dish and astonish your next guest.